Relying on your vehicle is an important aspect of driving through Baltimore, and drivers know they can rely on the inventory and service at Land Rover Annapolis. With our impressive amount of vehicle specials down to our talented technicians skilled to perform the best service, we provide you with everything you could want while putting affordability first. Check out what specials you can find at our dealership. 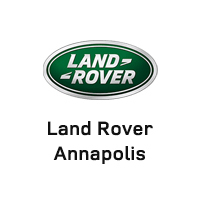 When you need your vehicle serviced, whether it’s a Land Rover or not, our team at Land Rover Annapolis will provide you with the service that gets your vehicle operating properly. From smaller tasks, like replacing windshield wipers, to larger ones, like oil changes, our expert team will get your vehicle running properly. Plus, we always offer great service specials, so you can get these tasks accomplished for less. Nobody wants to pay full price for a car, whether new or used, and you don’t have to at Land Rover Annapolis. We price our vehicles less than MSRP, and we also offer great financing specials to make our beloved models even more affordable. For instance, qualified drivers can receive special incentives on financing, making our low prices even lower. Talk to one of our financials experts today to learn more. We think our inventory is pretty special, and most Baltimore drivers do too. With a great selection of the newest Land Rover models, down to some pre-owned options that are perfect for different drivers, we make sure every customer can find what they want at our dealership. It doesn’t matter if you want a car, truck, or SUV, of if you want something new or used, let our team help you. MD to learn more about us or compare our inventory. Our team is here to help you have a wonderful experience.